A series of patents has given an insight into how e-commerce giant, Amazon, is addressing concerns around drone deliveries and to convince the public that it is safe to design these drones. With the latest describing that drones can break apart to spread a load of metal and plastic raining down if something goes wrong. 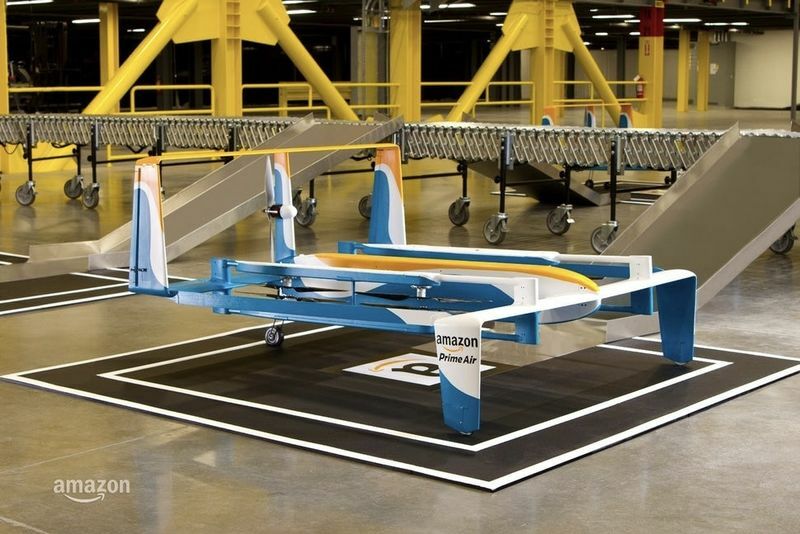 Four years have passed since Amazon first revealed the plans for the drone that would deliver packages to its customers. Although it has trials underway around the world, the service is yet to really take flight with the legal roadblocks remaining unsurmountable for now, at least in the US. A patent filed last year and now granted to the company seeks to address what would happen to Amazon's delivery drones in the event of a mid-air emergency. In addition to a flight controller that controls the flight path of the drone, the aircraft would also be fitted with a "fragmentation controller," which essentially breaks it apart in midair should such a need arise. The fragmentation controller would detect when something goes wrong with the operation of the drone and would come up with a "fragmentation sequence", dictating when certain parts should be broken off and released. It means tracking the flight path along with things like the weather conditions, and topography determines when and where is best to deposit certain drone components. Clearly, copping a propellor to the head wouldn't be ideal, but hey, it'd be better than an entire drone. As is always the way with patents, it's impossible to tell how serious Amazon actually is about building this functionality into its delivery drones, but if nothing else, it shows it is continuing to think outside the square.